Not a bevy of info is out there about these folks, but sill quite commendable. The Corn Dollies self-titled debut album was issued during the waning hours of Britain's fabled C86 mini movement. The South London quintet by and large subscribed to the aesthetics of so many indie bands of their era, employing lots of sweet strummy chords, with vocals faintly recalling Stan Ridgeway. This album spawned numerous Corn Dollies singles, most notably their signature song, "Forever Steven," endeared by many fans. Another single, the album's leadoff cut, "Map of the World" illustrates a much more cranked, amped-out disposition of the Corn Dollies, that unfortunately didn't manifest itself elsewhere on here. Still you can't go wrong with the remaining 13 cuts. More singles and another excellent album, Wrecked, followed but the Dollies called it a day in 1991. A short bio and discography can be found here. Get it from iTunes and Amazon Downloads. 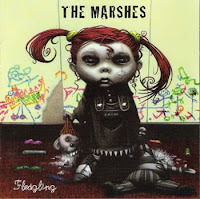 Not only does the Marshes’ Fledgling LP stand as one of my favorite albums of the ‘90s, it‘s sheer quality alone provided justification for the proliferation and exploration of punk/pop-punk in an era that was so abundant with poseurs and also-rans. Based in Amherst, Massachusetts, this phenomenal trio unleashed this standout debut full length, rivaled only by the likes of Jawbreaker and Samiam. Though they didn’t necessitate any sort of pedigree, The Marshes benefited from the inclusion of a recognizably named drummer in their ranks, Colin Sears of Dag Nasty, fame. The real stars here however are mouthpiece/bassist Emil Busi, and crack guitarist, Steven Wardlaw. With speedy, careening guitar leads, heightened melodicism, and some of the most curious and provocative lyrics you could ever expect for an aggregation of their chosen ilk, The Marshes hit on something enormously special, just not universal. Not by a long shot unfortunately. The Marshes ostensible appreciation for Jawbreaker pervades much, if not all of Fledgling, but even Blake S. and Co weren’t capable of staying up to speed with Busi’s quick, trademark wit. The opener, “Offshore,” inspired by a fantasized takeover of Earth by aquatic life, is worth the price of admission alone, but this album ceaselessly vaults from one sky-high crescendo to another – “Anniversary,” “Intelligentsia,” “Little Napoleon,” and more. Following the album's twelve “proper” tracks, is a goofball trifecta, the most substantive cut being “Sandy,” a mock hair-metal ballad committed to fairly convincing effect. The Marshes would record two more albums, Pox On the Tracks and Recluse, both on the more than respectable Dr. Strange Records. I never really was what you might call a "drooling fanboy" over Toronto's Diodes. For one thing, I wasn't aware of their existence until way after the fact. Secondly, aside from their rollicking, quintessential punk/power-pop signature tune, "Tired of Waking Up Tired," I never found anything in their catalog that was quite on par with it. I do however own the so-called Best of the Diodes reissue that came out in the late '90s, which featured their first two albums - 1977's The Diodes, and the followup, Released. A decent listen in moderate doses mind you, but despite the Diodes copious Ramones fixation, they were a bit too pedestrian for their own good. 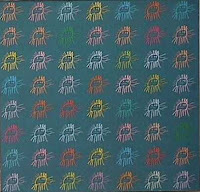 Nevertheless, I know that some of you that peruse these pages would be interested in some hard-to-find Diodes material, so I offer to you fittingly enough, Survivors, a 1982 collection of outtakes on the Canadian Fringe Records label. Among some spicy originals like "Burn Down Your Daddy's House, and the title track, the Diodes take on the Stones, The Animals, and Shocking Blue, the latter beating Bananarama and Nirvana to the punch by several years. Stay tuned for the real "present" tomorrow. 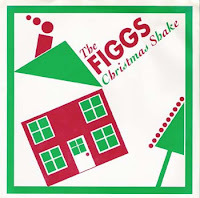 Indulge in the Figgs for now! 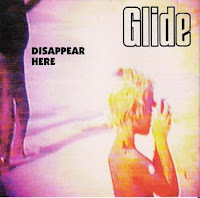 As a prelude, I know it’s a hard sell to encourage anybody to investigate music they are entirely unfamiliar with, even if it’s offered *ahem* for “free,” but to anyone who has checked out my previous posts, even so much as one album or single, trust me when I say that Glide are an absolute must listen. I’d probably start with Disappear Here, and go from there but read on… (Please note this is not the same Glide associated with Will Seargent's UK group of the same name). Complete unknowns in North America, and virtual unknowns in their native Australia, Sydney's Glide dispensed bittersweet ruminations of love and angst in the form of incredibly melodic and thoughtful guitar-rock songs that have yet to be replicated since their all-too-brief ‘90s tenure. The untimely 1999 death of charismatic front-man William Arthur short-circuited Glide’s career, but not without leaving behind an impressive body of work that has ostensibly languished out-of-print for close to a decade now. Glide took their cues from ‘80s American indie-rock, and less obviously availed themselves to a handful suave Brit-pop maneuvers. Despite these touchstones, this phenomenal Aussie quartet yielded something that was unmistakably of their own creation. There’s a certain depth and heaviness to their songs that shine through consistently, but even their most gripping moments never succumb to maudlin or melodramatic trappings. With Arthur’s lyrical acumen and his band’s impressive sonic salvos, Glide melded it all together with a sophistication that defined their sound, and ultimately, their legacy. This band’s catalog is nothing short of astounding. 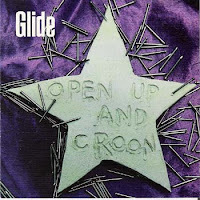 Open Up and Croon, Glide’s debut full length is the raw, toughened yin to Disappear Here’s bittersweet, reflective yang. Texturally the albums are different, but not entirely disparate. The formers lead-off title cut is a bitter piss-take, aimed squarely at the protagonists romantic rival. The song is somewhat unrepresentative of the remainder of the album, but ultimately Croon gradually segues into mellower, but no less angst-ridden motifs. I feel guilty for suggesting that as good as Glide’s debut was, Arthur didn’t really hit his stride until the following Disappear Here, but there is some truth to that notion. The intensity and fervor is still present as it ever was, however when Glide ease the reigns ever so slightly (i.e. pile on some choice ballads) the end result is that much more rewarding. The melancholic, yet totally appreciable “What Do I Know?,” “Hole in the Middle,” and “Tangled,” bare a minimum of two colossal hooks, just one of which would prop up some other sorry suckers entire album. Shinkwrapped Real Thing gathers up a myriad of early ep tracks, with much of the material on par with Glide’s proper albums. 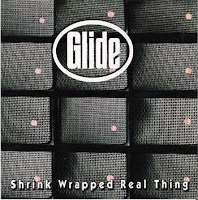 A posthumous Glide album of new, unreleased songs, Last, was released in 2000 in conjunction with the band’s official website. A full discography and catalog of “available” Glide CDs are provided, but the site has seen no updates since it’s inception seven years ago, I wouldn’t hold your breath when whipping out your Mastercard. Glide’s Myspace page has a bevy of useful info, and the usual obligatory songs. If anyone is interested, I have a superb compilation of Glide b-sides and radio sessions I can upload. I've decided it wouldn't be too smart to host these disks anymore, now that they've been made available on iTunes. From what I understand some physical copies might be available through Glide's website. Go here for all the pertinent details and links. If you're encountering Glide for the first time, check out the handful of tunes they have streaming on their page, or go with the 30 second clips on iTunes linked above! please check back in a week or so...sorry folks. This album was recently requested from one of our gracious viewers. It was in fact procured several months ago from the late, great Power Pop Lovers blog, a none-too-key impetus for creating my own page, but I digress. My knowledge of One Plus Two doesn't stretch far beyond the music and album sleeve. They were a coed outfit who released this album on Homestead Records in 1986, and had two previous records available, namely another 12" on Homestead, and a 7" ep titled Watercolor Haircut on the prestigious New Math label. 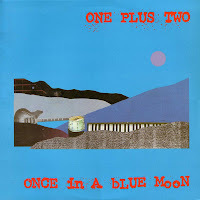 Once In a Blue Moon is an immediately winsome album, flavored with the jangly indie-pop (think Mitch Easter, etc) of it's era. Perhaps not brilliant, it's still well worth anyones time and hard drive space. Up until very recently (at least from my vantage point) the going rate for every major-label success, is about ten or so flops. From the '60s to the early '00s, the big five (or is it four?) deliberately and predictably threw their weight behind a proverbial "golden goose," according them with the lions share of the promotional budget, leaving dozens of other signees to languish with nary a thought of recouping their investment. Absurd by any measuring stick if you ask me, but due in part to file sharing, the big boys have wised up, carefully selecting their rosters and making a more substantial priority of their signees. The beauty of the old-school model was that so many of the spill-over bands that were given short shrift by the public and the industry, would occasionally be of artistic, indie-label caliber, adopting small but devoted audiences in the process. Santa Barbara's Summercamp just so happened to be one of those "major label miracles." Scooped up during the '90s alt-rock feeding frenzy the band signed to Maverick, the Madonna curated division of Warner Brothers. The wrong place at the right time, or the right place at the wrong time? Maybe a little bit of each. 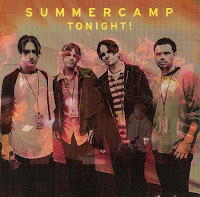 Summercamp's hyper-melodic power-pop probably came across as rather ordinary to young adults and older. Some of the most potent material on their solitary LP, Pure Juice, flirted at the edges of pop-punk, but the Warped Tour set wasn't convinced. Initially, it appeared that Summercamp had their foot in the door, boasting some regular airtime for their "Drawer" video on MpTytV, but hopes of making a more noticeable dent were soon dashed. A follow-up was recorded, and in classic music industry fashion, it was shelved. Singer Tim Cullen went onto an indie solo career, which resulted in an album, Fun Razor, that didn't stray far from where Summercamp left off. The Tonight! ep was released shortly after Pure Juice as a Japanese import, with very limited copies swimming their way over to the mainland. It's no substitute for the aforementioned main course, but a nice little appendix, with three live selections and some studio outtakes. The title cut, by the way, is a mere four seconds. Huh. Howdy. I'm afraid I don't have much time at the moment to ramble on at length, but I thought this post would be a treat for Nada Surf fans, as well as connoisseurs of late-80s college radio. That's right, before NS, frontman Mathew Caws stewed his creative juices in an outfit dubbed The Cost of Living. They were undeniably pedestrian in comparison to the empathetic and sonically gratifying Nada Surf (going on almost 15 years now), but C.O.L. are still worthy of merit, particularly their parting bow, Comic Book Page. Lots of sweet, jangle-rock bliss, if a bit straightforward. Just don't approach these disks as likely precursors to High/Low and The Proximity Effect, and you'll be surprisingly rewarded. 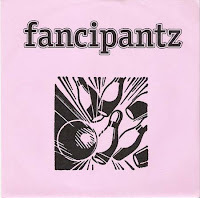 Fancipantz were a one-off single project involving Caws, and Rachel Blumberg, who many years later would surface in the Decemberists and The Minders. The A-side, "Dispossession," would later be revived as a Nada Surf cut on the aforementioned Proximity Effect. In fact, the variations here are practically negligible. The b-side, "Bed" was contributed by co-band member Nicholas Columbo, and has little or no relevance to most of us. Grunge. It's not just from Seattle anymore, or more precisely was. Tustin, California's Smile had a lengthy but less than prolific run, yielding two LPs, Maquee (1994) and Girl Crushes Boy (1998). Maquee (pronounced 'muh-key') was initially released on Cargo/Headhunter Records, but was reissued a year later on Atlantic Records, strictly on the recommendation of a college intern, so the rumor goes. 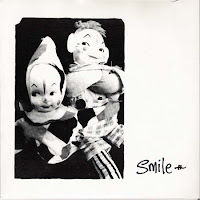 That album's bottom-end tendencies actually paled compared to the short stack of wax Smile released beforehand. Neither icons nor iconoclasts of the short-lived grunge movement, this power-trio led by the surprisingly diminutive Michael Rosas, offered perhaps their most ferociously bludgeoning song ever, "I Don't Want to (Leave You)," on what appears to be a self-released single. That cut along with the accompanying "Leuaine," in all their bass-heavy glory, could have gone head-to-head with anything on Nirvana's Bleach. Trust me, that's saying a lot. The other single in question was just as much fun. The A-side, "Amanita" fell in line, so to speak, with the lock-step grooves that Helmet were renown for in their early-'90s prime. Six and a half minutes of taught, scalding riffola that would have surely sent any household pet within earshot straight under the couch faster than any vacuum cleaner. The less intense flipside, "Staring at the Sun," is underwritten, but still a keeper. It would find it's way onto Maquee in an overhauled version. After the commercial disappointment of Maquee, Smile reverted back to Headhunter to eventually release Girl Crushes Boy in 1998, an endearing pop-inflected album, steeped in Rosa's idiosyncratic muse. It's very much worth seeking out. PS: Michael Rosas can now be found in this band. 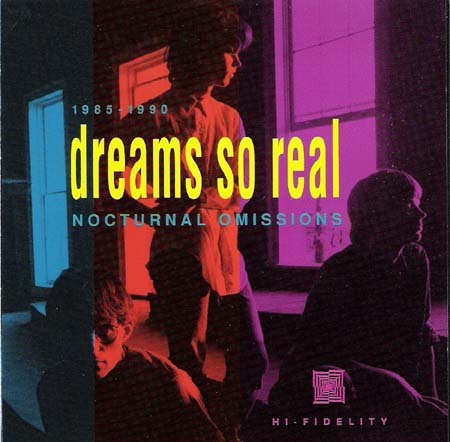 My first encounter with Dreams So Real, was their video for "Rough Night in Jerico," from their major label debut album of the same name, sometime back in 1988. Although "Rough Night..." had all the earmarks of a rock and roll classic (which I still esteem to this day), I was in for even more of a treat when I heard their first LP, Father's House. Hailing from the alt-rock hotbed of Athens, Georgia, Dreams So Real, as did many bands from that era (and area) took a page from REM. In DSR's case, they honed in dead-center on Peter Buck's crystalline Rickenbacker jangle, and just ran with it on Father's House, albeit with a slightly more pedestrian approach. Preceding that album, was the "Everywhere Girl"/"Whirl" 7" on Coyote Records in 1985. 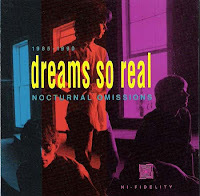 These two songs were quintessential examples of the southern indie-rock sound of the 198os, and also function as the unofficial centerpiece for Nocturnal Omissions, a Dreams So Real "fan club" CD of outtakes and rarities of damn-near every song that didn't make it's way on to the band's three official albums. Released in 1992, it chronologically follows DSR through every phase of their brief and largely ignored tenure. There's so much gold to warrant mentioning here - pre-Father's House demos, "Golden" from the Athens, GA Inside/Out soundtrack, copious outtakes from their two Arista albums (including a collaboration with the B52s Cindy Wilson on "Appalachee Shoals"), a pair of Christmas tunes, and an embarrassing foray into old-school rap. Dig in, but as precursor for anyone new to Dreams So Real, you may want to check out their debut album from here. 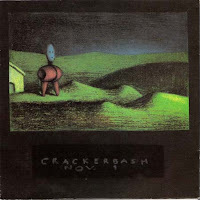 Like many indie-rawk bands hailing from Portland, Oregon during the 1990s, Crackerbash, along with such hometown brethren as Hazel, Heatmiser, and Pond opted for something less bludgeoning than their flanneled neighbors to the north. Crackerbash were less prominent than pretty much all of the aforementioned, but no less worthy. The band's calling card was Sean Croghan who's deep and none-to offbeat bellow was coupled by flurries of crunchy, chiming guitar riffs, the product of his own two hands no less. The band's finest hour came in the form of a self-titled debut album on Empty Records in 1992. It would also be their only full-length, with the Tin Toy ep coming on it's heels a couple of years later. There were also some admirable singles, which is the topic of this very post. Not a crowning achievement so much as a quasi status symbol, The 'bash had the privilege of partaking in Sub Pop's fabled singles of the month club, with their 7" slab arriving on the August 1992 installment. I apologize for the pesky vinyl noise on the A-side, "Nov. 1," but nevertheless a standout track, backed with a Spinanes cover on the flip side. Even more stunning was the ringingly melodious "Holiday" from a '92 7" released on the locally based Imp Records. A huge personal favorite of mine, despite it's two so-so accompanying tracks. If Crackerbash had a "signature song," so to speak, then by golly, "Jasper" just might have been representative as such. With it's mesmerizing wall of power chords and Croghan's throaty wail, "Jasper" is a slice of indie-punk perfection. 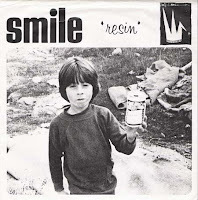 In addition to it's release on an Empty Records 7", the song also made an appearance on their album. Some of the recordings on this Crackerbash triple-shot may sound a trifle crude but so be it. Their magic shines through nonetheless. 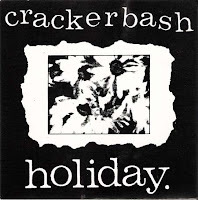 A complete Crackerbash discography can be found here. Olympia' Washington's Heavens to Betsy will always be remembered as the band Corin Tucker had her riot grrrl antecedents in prior to forming Sleater-Kinney, but H2B's merits are considerable, if a little unheralded. An economically efficient duo with Tucker on guitar and Tracy Sawyer flailing away on the skins, H2B convincingly and palpably bore the exfoliated nerve of societal repression and abuse (particularly as it pertained to young women). 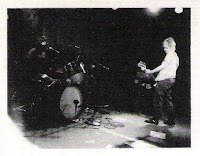 Perhaps it was Hole and Bikini Kill that gave the riot grrrl movement international prominence, but despite Tucker and Sawyer's sonically minimal delivery, H2B drove their point home just as loud and clear, if only to a more meager audience. The 1994 Calculated lp on Kill Rock Stars was H2B's most accessible release, at least in terms of retail attainability, the releases leading up to it were in my opinion even more remarkable. A self-titled 1992 demo tape went a long way not only in laying out the blueprint for H2B future recordings, but functioned as a gut-check of sorts to anyone in earshot that could relate to the sentiments laid out in "Stay Dead," and "My Secret." These songs, among more to follow, concerned the post-traumatic aftermath of domestic and/or child abuse. 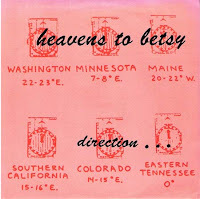 Heavens to Betsy's first official vinyl offering was a four-cut 7" ep, These Monsters Are Real, on the esteemed Kill Rock Stars imprint. It found Sawyer and Tucker delving into more melodic terrain, while fully retaining the cathartic energy. The Calculated lp that was soon to follow was hardly anything it's title would suggest. 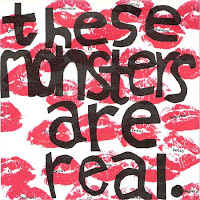 Surprisingly, much of it was not as substantive as the demos and Monsters 7" would suggest. It's still required listening for anyone who's devoured their lesser known recordings, but with such a heavy emphasis on sung/screamed dynamics, the songs tend to get lost in the process. It has been requested that I no longer share these. Sorry. Before scoring soundtracks (i.e. I Heart Huckabees), enjoying a coveted spot in the short-lived, mid-90s pop supergroup The Grays, not to mention recording a thoroughly excellent solo album, Meaningless in 2001, Jon Brion endured a little-known skinny-tie phase predating all of the aforementioned. 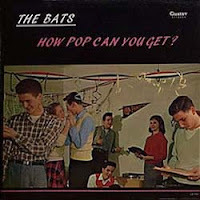 Some 25 years ago in Connecticut, a band dubbed The Bats committed to tape a fairly convincing power-pop-ish album How Pop Can You Get? on the small and assumedly local label, Gustav Records. Though hardly a landmark for the genre or otherwise, The Bats romantic sentiments and period keyboard accoutrements were if anything competent, and for that matter, sometimes downright hook-laden, as evidenced by the title cut. I do not own an original copy of this album, nor will I likely be fortunate enough to (unless it's reissued *hint, hint*), however I was able to procure a decent rip in the outermost regions of cyberspace for your listening leisure. Now, how pop can you get? 10. why does suzy have bad dreams? Update: this has been reissued online from the original tapes! Sounds impeccable. Get it from Amazon, Emusic, or iTunes. 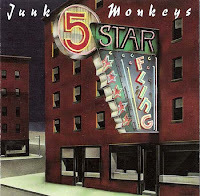 Detroit's ingenious Junk Monkeys were under everyone's noses (or more precisely in used bargain CD and tape bins, he he) during the early '90, but few actually took the 'fling,' so to speak. Perhaps the best Detroit-based band of their era, the Monkeys doled out raw, thrashy rock 'n roll with a decidedly unabashed nod to the Replacements. Their 1993 follow-up to this slammin' set, Bliss, may have been their most consistent and accomplished album, but it can't touch Five Star Fling, in all it's visceral, devil-may-care glory. An unlikely Who cover is thrown into the mix as well, but it's originals like "Sad Letters" and "Skippin' Stones" that dazzle the most. Incidentally, the Junk Monkeys were signed to the Metal Blade division of Warner Brothers simultaneously with the Goo Goo Dolls when the latter's integrity was mostly intact (and in my opinion, quite remarkable at that - check out the Goos Jed and Hold Me Up for further convincing). Keep your eyes peeled for more Junk Monkeys on here in the future. Yet another one from the 'wish I'd been there' chronicles. 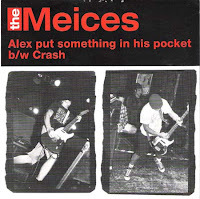 Hardly known as a musical breeding ground, Albany, NY's Verge, managed to cultivate one heck of a 7" ep, almost a full 25 years ago. Brandishing an archetypal post-punk inclination, The Verge married jagged, but sweet echoing guitar licks with Thomas Rella's amelodic vocals. The result were surprisingly intoxicating, not unlike what Killing Joke and Middle Class were dispensing around the same time. Definitely a must for all you KBD fans out there. I was damn-near surprised to see that this gem of an album never caught the watchful eye of some of the kingpin power-pop blogs out there. Surprised if only for the fact that The Proof's It's Safe album was released under the auspices of a major label no less, in this case the venerable CBS Records. To be more precise, It's Safe was born into the world on a tentacle of CBS, Nemperor Records, most notably home to power-pop, leather-tie traditionalists The Romantics. 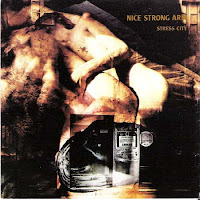 To some people, Nice Strong Arm were just another noisy post-punk band on Homestead Records. My first encounter with them came courtesy of college radio in the early ‘90s when I was at an impressionable age . Specifically, the song that lured me in was this very album’s “Desert Beauty Bloom,” and it was a tremendous revelation. With it’s lofty escapist sentiments, abetted by a sonic fusion of maelstrom and melody, “Desert Beauty Bloom,” went that much further in legitimizing my increasing dedication to indie-rock. Stress City, along with albums/singles by dozens, if not hundreds of bands that flew under the collective mainstream radar, motivated me to gradually forfeit nearly a decade’s worth of heavy metal and classic rock schooling. Everyone says that Nirvana killed hair-metal. I’d argue that Nice Strong Arm proved to be damn near effective as well, at least for me. New York’s NSA opted for a dreary foreboding landscape for many of their songs, and Stress City’s ten selections are certainly no exception. “Desert Beauty Blooms” is relatively hopeful, but I think I’ve commented enough about this song above. Although much of the remainder of Stress City is less than immediate (to say the least) it’s still worth the investment. Lead Arm, Kevin Thompson would later helm the much mellower Timco, but we’ll leave them as a subject for another time. interesting story to tell. Ultimately, notoriety of just about any sort was not in the cards for this 'Frisco trio who pumped out three consistently impressive albums of a rather indigenous brand of rough-and-tumble pop-punk that hasn't been heard since their dissolution in the mid-90s. Two of that trio of long-players, 1994's Tastes Like Chicken, and 1996's Dirty Bird, were issued on a major label (London Records) no less, but the wider exposure espoused to the Meices did little to maximize their meager, but dedicated following. Over the course of three albums, The Meices matured steadily and noticeably. As for the band's pre-lp introductory singles, the Meices at their rawest and most unbridled could outdo the "prime" output of many of their contemporaries. The punk-pop tag is likely to conjure up Blink 182, Green Day, and god forbid Good Charlotte, but Joe Reineke and company weren't shy about kicking up a little dust to come up with something a little more impulsive and dynamic. 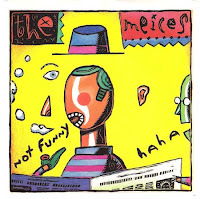 The Meices made their official debut wih the Not Funny (ha ha) 7" ep on Two Car Garage Records in 1991. Four slices of roughhewn, rip-roaring rawk, that featured what was to become one of their signature songs, "Alex Put Something In His Pocket." Total fun, and even though it was far from their potential it was a more than respectable start. Many other songs from the Not Funny sessions would wind up on an import-only CD, Pissin' In the Sink. the Seattle-based Empty Records. They were released as precursors to a dynamite debut album for the label, dubbed Greatest Bible Stories Ever Told. The A-sides, "Don't Let the Soap Run Out" and a reworked "Alex" found their rightful place on the aforementioned 12," but the b-sides weren't shabby either. The downer vibe of "We're Freezing" secured a place as one of the most "serious" songs in the Meices oeuvre. A faithful rendition of "Back In Your Life" in no uncertain terms revealed Reineke's sincere appreciation for Jonathan Richman, while "Alex's" flipside, "Crash," is a melodious stunner that would have made a fine addition to any Meices album, not just the first. 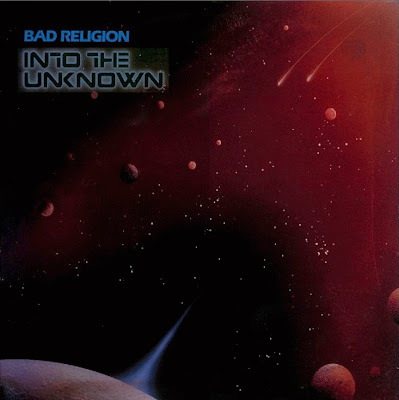 The only Meice with any real prominence, Joe Reineke went onto found the even more prolific Alien Crime Syndicate in the late '90s, a band that added some electronica accoutrement's into the picture, but still brought the rawk. From Brisbane Australia they came, and profile-wise their audience sadly didn't reach much further than Oz. In the mid-to-late 1980s, The Ups and Downs released a bevy of indie singles and two strong albums, Sleepless in '86, and Underneath the Watchful Eye two years later. (The former can be obtained here). 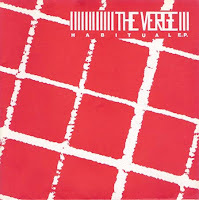 Their sound was classic anglophile modern rock, with lots of ringing guitars and a faintly melancholy undercurrent. 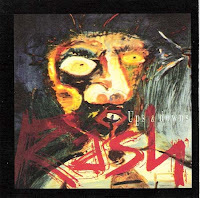 The 1991 Rash ep, available on Nettwerk Records in North America, was their last gasp, and although I'm likely in the minority here, I found it to be their peak moment. Rash plot the Ups and Downs on a decidedly more commercial path, but with the glossier veneer came sublime, melodic gems like "Jack," and "Untie Ian." This ep was a bittersweet proposition in all respects, from the contemplative songs that encompassed it, to the sobering realization that there would be no more where this came from. The Blases lone, eponymous album is the stuff this blog was born for. Not so much a classic, rather a classic example of an album lost to the limits of DIY distribution and homegrown record labels. 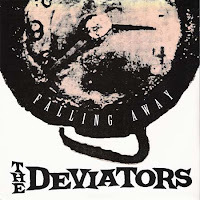 Until I found this album online sometime in the very late '90s, my affiliation with these Jersey bar-rockers was solely through a grainy video for this album's brilliant "Time Walks Away," which aired on MTVs 120 Minutes, dare I say in 1990-91(?). To my memory, no album or label information was provided with the usual "ID" info, but in years to come, I would learn that then 120 Minutes host, the infamously gravel-throated, Matt Pinfield was keenly familiar with the Blases, so no great mystery there as to why the video was sandwiched between Jesus & Mary Chain and Julian Cope clips at 1:30 AM. Despite my eventual absorption of the Blases record, and even with the ever expanding "information highway" at my fingertips I have unsuccessfully learned much about the band, with the exception of reading of a one-off reunion show in recent years. The Blases is no magnum-opus, and is probably what Soul Asylum would have amounted to had they pursued the gin-mills and nothing else. However the song that lured me in the first place, the aforementioned "Time Walks Away," is stunning, due in part to it's relatable 'one-that-got-away' motif, and an incessantly, jangle-ridden hook. Side two's "Wasting My Dreams to Sleep," comes in at a fairly close second, and although the nine-song collection is more than listenable, great swaths of it don't particularly stick. 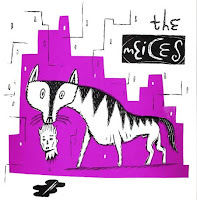 I foolishly passed up the opportunity to buy a Blases single on Ebay many years ago, so if any of you have any juicy details on that, or for that matter the band themselves, don't be a stranger. Over the years, many a power pop-centric music scribe/audiophile has espoused the "no-home-should-be-without-one" notion regarding the 1977 debut album from Memphis' Scruffs, Wanna Meet the Scruffs? The updated Merseybeat that occupies that album's grooves is perhaps on par with the best of the Raspberries output, but certainly not to be outdone by the first two Big Star albums. To this set of ears, Wanna Meet... isn't a masterpiece by any stretch, but as Joy Division were to goth, and what Black Sabbath were to heavy metal, The Scruffs weren't the pinnacle of the proto-power pop movement, rather they were one of the fortunate innovators. Innovators in this case that hardly got their due I should add. Wanna Meet the Scruffs? has for the most part been back in print since the late '90s. 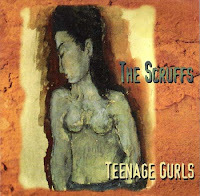 With renewed interest in the band some 20 years since that album graced shelves, the wise entrepreneurs who helmed the Memphis based Northern Heights Records, excavated the Scruffs vaults, and in 1998 released the bands second, and theretofore unreleased LP, Teenage Gurls. Sporting a logical progression from Wanna Meet..., the followup didn't dramatically jostle the proceedings, but the punky "Rock 'N Roll Heads" and "You, You, You," pointed to what contemporaries like the Nerves and Undertones were about to unleash. Pound for pound, Teenage Gurls is just as worthy as it's lauded predecessor, and not a bad place for the uninitiated to start with. As an added note, The Scruffs recently reunited, and released a respectable album in early 2007, Pop Manifesto. 14. How We Gonna Do It? Now available from Amazon downloads and iTunes. If you know anything at all about Tucson, Arizona's Sand Rubies, you're probably aware that they evolved from a group called the Sidewinders, a critically renown "college rock" outfit that offered a mild but noticeable No-Depression inflection to their meager but earnest mix. As a matter of fact, you can check out one of their albums on for size right here (just scroll down a tad and you'll see it). With little to no fanfare, the 'winders reneged on their original moniker and traded it in for the Sand Rubies, upon learning that the Sidewinders tag also belonged to another American band. In 1993, the Rubies signed to the major label affiliate Atlas Records and released a self-titled disk, much in the Sidewinders vein that largely went unnoticed in the grunge-era hoopla. 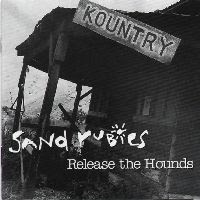 Calling it a day in '94, a couple of low circulation posthumous Sand Rubies albums were released - a live document, and later a covers CD on the presumably homegrown imprint Gestrichen Records, Release the Hounds, which this post concerns. Neither the Sidewinders or Rubies were what you would consider especially spirited (at least on record), but even though Hounds is par for the course, most of what they attempt is convincing, if not little shambolic at times. The remakes here are fairly straightforward and faithful to the originals, but what really reeled me in were their takes on the Records "Starry Eyes," Neil Young's late '80s anthem "Rockin' in the Free World," and of course, I just couldn't continue on my journey in life without hearing the Sand Rubies rendering of Spirit's "Nature's Way." And neither can you. An album as thoroughly excellent as the Hummingbirds loveBUZZ should not warrant a post on a blog dedicated to lost and overlooked records. Ideally it would be revered and ubiquitous, as say Matthew Sweet's Girlfriend. In other words, loveBUZZ should've/could've been a staple. Hailing from Sydney, Australia The Hummingbirds had the backing of a major label (actually Rooart Records, a big Oz indie co-opted by Polygram) and production of their debut album courtesy of the near-legendary Mitch Easter. The album was a modest success in their home country, but with the exception of college radio tanked Stateside. As usually is the case, the music speaks for itself. 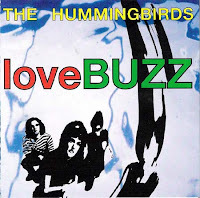 The ceaseless, Rickenbacker jangle that permeates loveBUZZ, is paralleled only by the Hummingbirds co-ed harmonies. Allanah Russack is the dominant voice here, and although it's tempting to assimilate the Hummingbirds with contemporaries like the Primitives and Darling Buds, loveBUZZ makes that virtually impossible given it's depth and sonic splendor. In more recent years, the band has been represented with an official "best of" compilation, but this album plays like a veritable greatest-hits album in itself. The ever nagging melodicism of "Alimony," "Word Gets Around," and the album's 'big' single, "Blush," anchor eleven more could-have-been universal classics, making loveBUZZ downright vital for power-pop fans and otherwise. With Canadian record label Attic Records always on the cutting edge of new, innovative ways of developing talent while keeping costs low, they hit on the idea of a no-frills label called Basement Records. 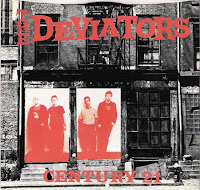 Their first signing was Toronto act, The Numbers, in 1979. The band went into the Soundstage studios in Toronto in October of that year with Jack Richardson's son Garth Richardson producing. Attic co-owner Tom Williams wanted the Numbers to be the first album released in 1980 so, at 9:00 AM on New Year's day, key radio music directors and journalists were sent a copy of the album 'Add Up' to their homes along with a Bloody Caesar alcoholic beverage. The ploy worked as The Numbers received a bit of activity with the first single, "Sideways Elevator", but when it came time to follow that up with a second album the band demanded a larger production defeating the ability for Basement Records to live up to its mandate. As a result the band made a deal to re-sign with Attic Records under the new name Hot Tip (whereby Jim Kennedy was replaced by keyboardist Colin Gerrard). Unfortunately, the band broke up shortly after its two singles could be released in 1981. With notes from Kevin Shea and Michael Coxe. Victoria, BC's Papillomas were just one of scores of hot indie bands emanating from the Canadian border throughout the '90s, however this promising quartet didn't mean squat in the States, unless of course you were an avid listener of CBC radio like myself. Taking subtle cues from yanks like Pavement, For Squirrels, and Archers of Loaf, the Pap's brand of roughewn, mid-fi indie-rawk had a certain distinction of it's own, due in large part to Michael Kissinger's slightly offbeat timbre. Twice Is Early... is no through-and-through masterpiece, but some of the choicer selections, namely "Everything is Tired," "Wisconsin Camera For Higher," and "Cross Face Chicken Wing" are worth hitching the ride for. 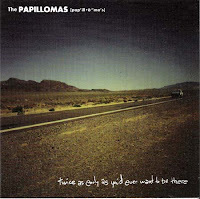 Preceding this album was the Papilloma's debut, Corolla, while 2001's When Years Were Bee Stings ep was the band's parting shot. Good luck trying to find any of them, because you'll probably need it.